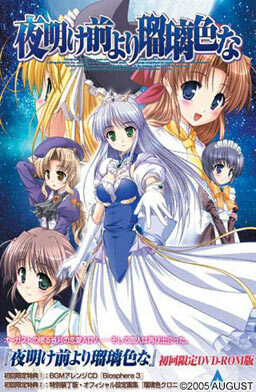 Aiyoku no Eustia is a 2011 by August. The Princess is a Waitress. Princess Holiday ~Korogaru Ringo Tei Sen’ya Ichiya~ is a 2002 game by August. 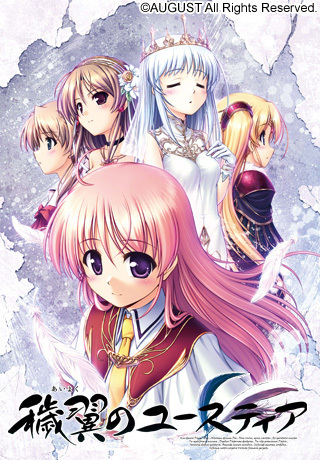 It got an all ages Dreamcast port in 2003 and a PS2 one in 2004, which added voices for the male characters, additional endings for a few heroines, and a new route. 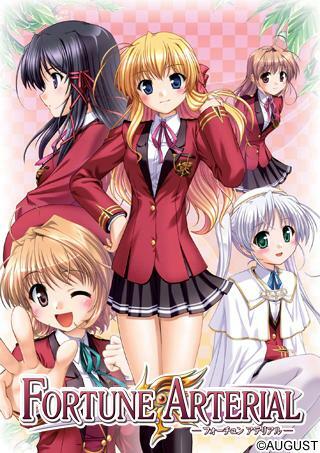 Fortune Arterial is a 2008 by August. It got a 2011 re-release with Windows 7 compatibility. 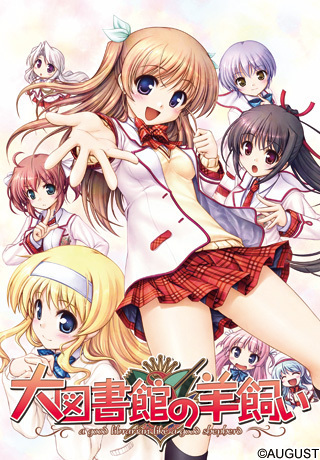 Daitoshokan no Hitsujikai is a 2013 game by August. It got an all ages fandisc later that year (not illustrated by Bekkankou), Houkago Shippo Days, and has another one announced, Dreaming Sheep. Time to review the *other* game of a Moon Princess. 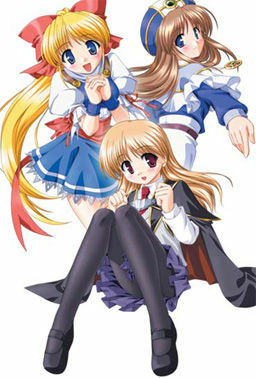 Yoake Mae Yori Ruri Iro na is a 2005 game by August. It received an all ages PS2 port in 2006 and, when its fandisc came out in 2009, a PC backport (still all ages). It also had a PSP port in 2010 (the version I personally played). Argentinian based translation group (consisting of me, Mazyrian, the translator). Formed to translate Tokyo Alice (if you can call "formed" to a single guy saying "hey, let's translate this"), has also translated Akai Majo. Now houses visual novels reviews, with the occasional translation, if I feel like so (I don't feel like so).